Every generation has been impacted by times of great strife. On one hand, we've come so far, and on the other, we are stuck in the cycle of conflict. Same pattern, different topic. And being right in the middle of the current set of divisive circumstances, we can either sit by and hope it passes or we can get active and try to effect positive change. Luckily, more and more people are choosing the latter. They want to get involved in their communities, to make a difference. Unfortunately, it's not always so easy to get started. 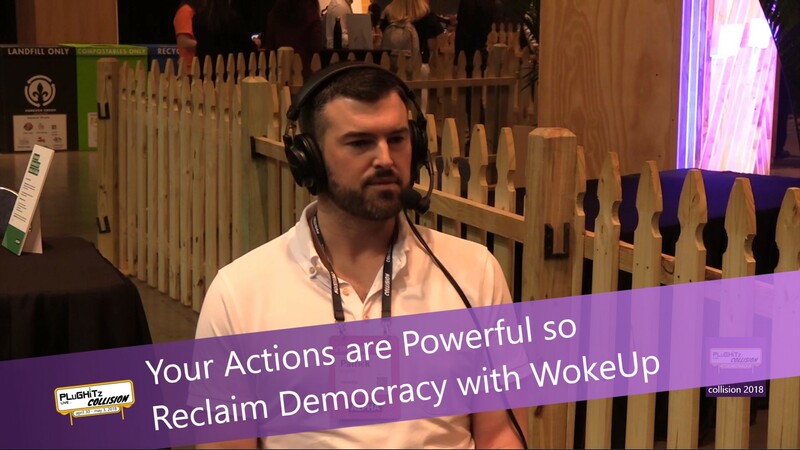 Patrick English, Founder of WokeUp, came up with an easy-to-use platform to assist with community organization. The tool empowers citizens who are concerned about a particular topic to take direct action in their local areas. He came up with the idea after the 2016 elections as he felt that the viciousness of the election cycle revealed disconnects within our democracy. It had broken down to the point that people were no longer actually communicating with each other. The division between the ideologies was deepening and we needed a way to come back to a basic level of respect. What better way than to work together for a common, community-based goal to get back on track. We can all work towards a shared purpose to realize that there is more that can bring us together than there is that divides us. Their mission at WokeUp: "(to) Develop the necessary political infrastructure for the 21st century through a virtuous social network, providing technology tools and resources for effective activism. Encourage the smallest acts of justice and kindness, with an understanding that the power of personal connection can shape our world. Make civic involvement simple, fun and an enduring American value." Social media can be a tool to effect meaningful action. Volunteer time is as valuable a resource as donor dollars. Protests and resistance are losing their effectiveness. The American Renaissance will begin at the community level, not in Washington. When the right people get connected, change happens. In their own words, they are an elegant experiment to test these assumptions. They are building an online infrastructure that allows members to easily organize with fellow members around civic action in their communities. They will be accomplished by providing a repository of resources, as well as an archive of past actions for the purpose of providing guidance and feedback. If you are ready to get involved in a way that is both empowering and fun, check out their website to learn more.